With a stay at Miami Beach International Hostel in Miami Beach (South Beach), you'll be steps from Collins Avenue Shopping Area and Ocean Drive. This hostel is 0.1 mi (0.1 km) from Espanola Way and Washington Avenue and 0.2 mi (0.3 km) from Lummus Park Beach. Make yourself at home in one of the 38 individually decorated guestrooms. Prepare your meals in the shared/communal kitchen. Complimentary wireless Internet access is available to keep you connected. Conveniences include safes and blackout drapes/curtains, and housekeeping is provided daily. Enjoy recreation amenities such as a nightclub or take in the view from a terrace. This hostel also features complimentary wireless Internet access, an arcade/game room, and tour/ticket assistance. 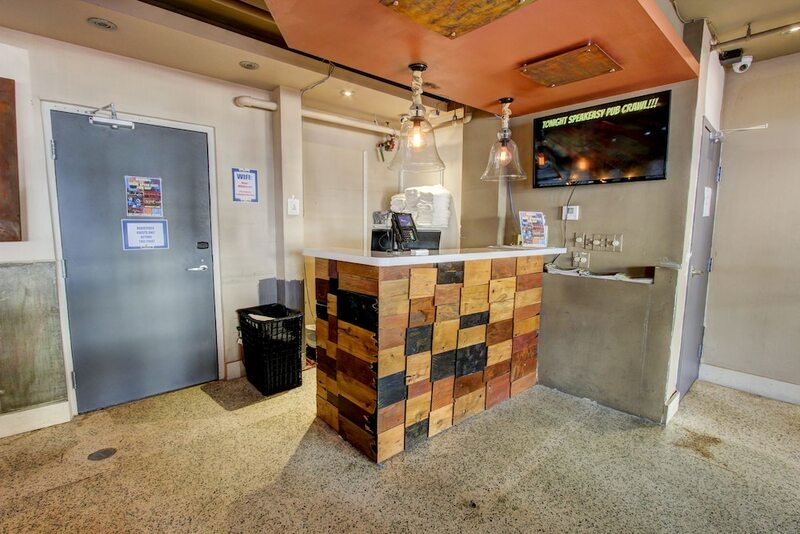 Enjoy a satisfying meal at Dining Room serving guests of Miami Beach International Hostel. A complimentary breakfast is included. Featured amenities include a 24-hour front desk, luggage storage, and laundry facilities. A shuttle from the airport to the hotel is complimentary at scheduled times.